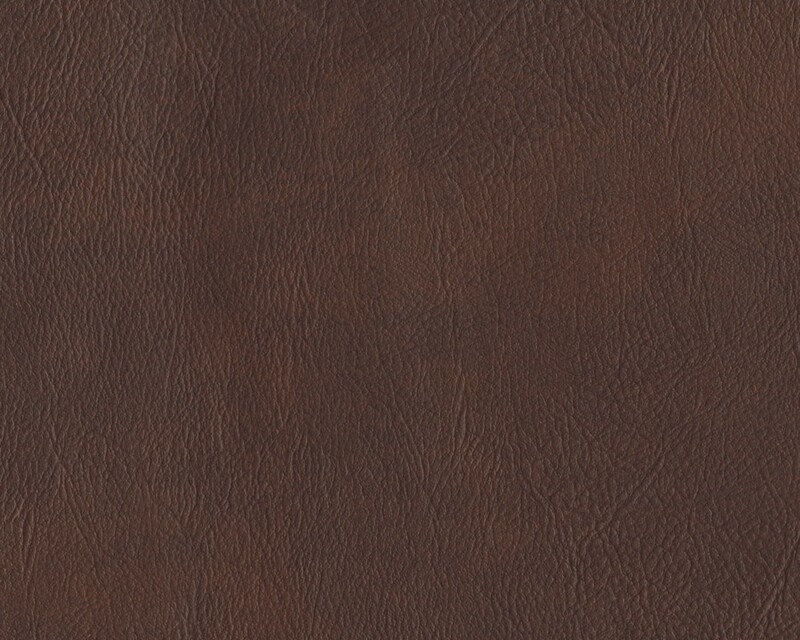 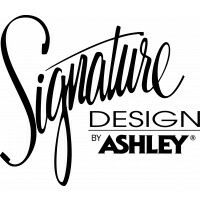 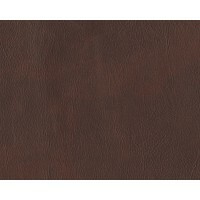 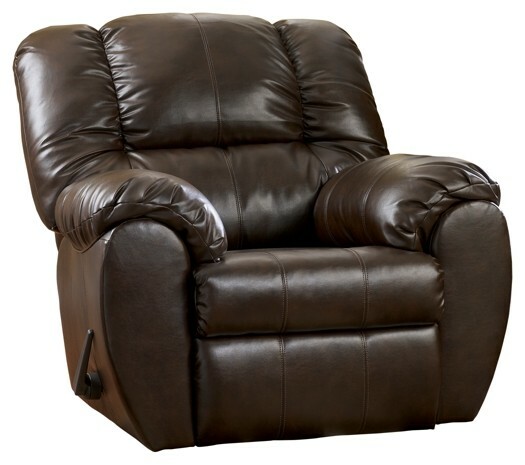 You love the classic look of weatherworn leather—but you want a whole lot more comfort than a standard arm chair can offer. 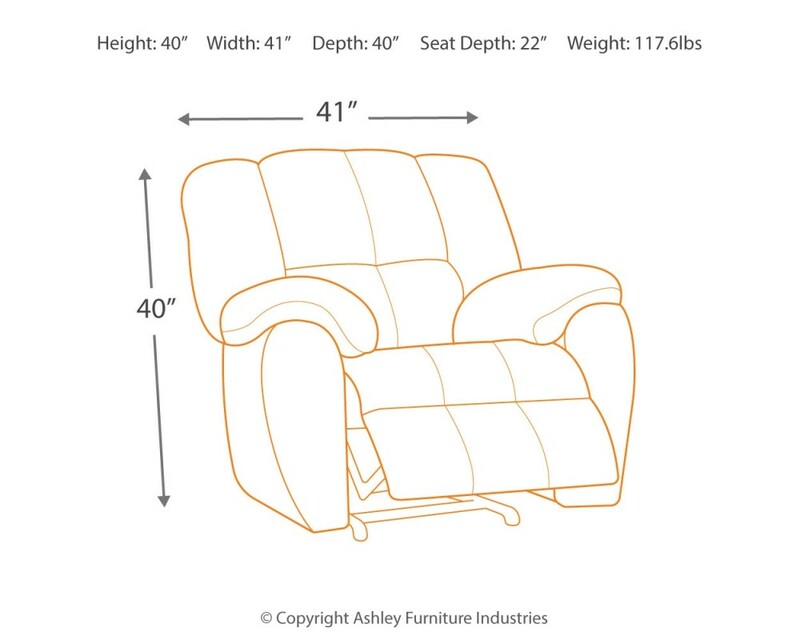 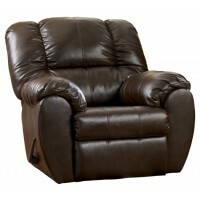 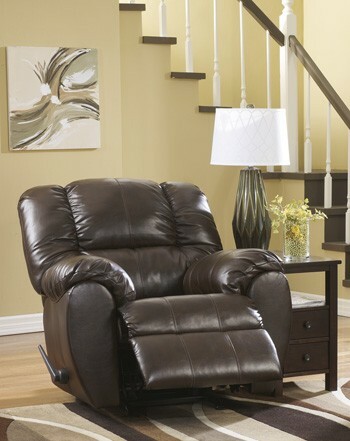 Rest assured, this rocker recliner, a high-quality faux leather option, gives you the best of all worlds. 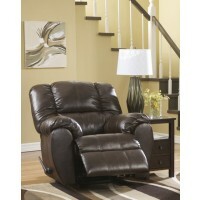 Curved, contemporary lines and stylish stitching details make quite a fashion statement. 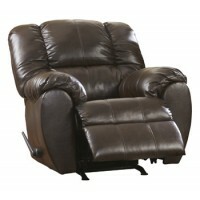 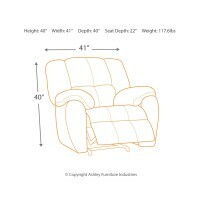 Plush padded arms, thick bustle-back cushion support and signature seating are an irresistibly comfortable combination.